Eway bill will be mandatory for moving goods interstate from February 1 for goods value more than 50000. Trail run for generating e way bill has started and even 4 states have already make it mandatory from January 1. So you must prepare for generating e way bill. However e way bill is mandatory from February 1 but we advice you to start attaching e-way bill. 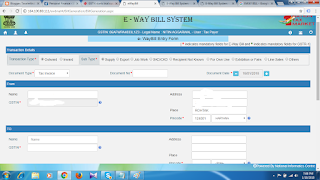 There is simple steps for generating e-way bill which is as under. 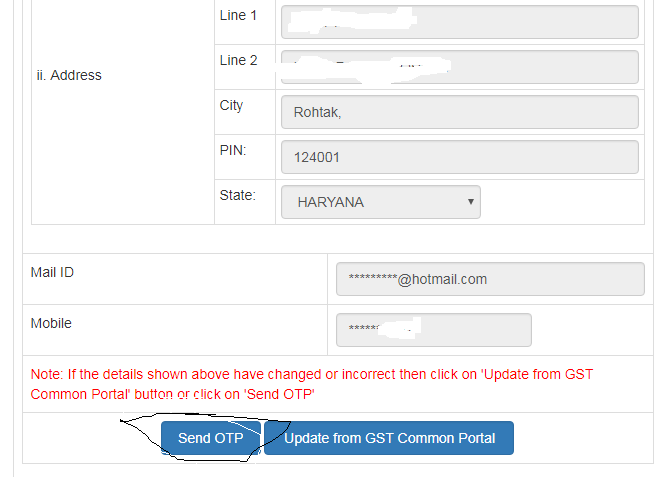 There is an option to E WAY BILL REGISTRATION as shown in picture. Click on e way bill registration. 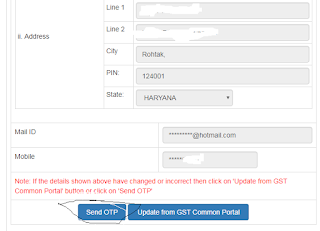 An auto filled form will come on screen with your GST details, Registered mobile number, email id , address etc. Check these details and Click Send OPT. An OTP will come both mobile number and email id. Simply fill the OTP and the system will allow you to make a username and a password. After registration Signin on ewaybill.nic.in and the screen will open like this. 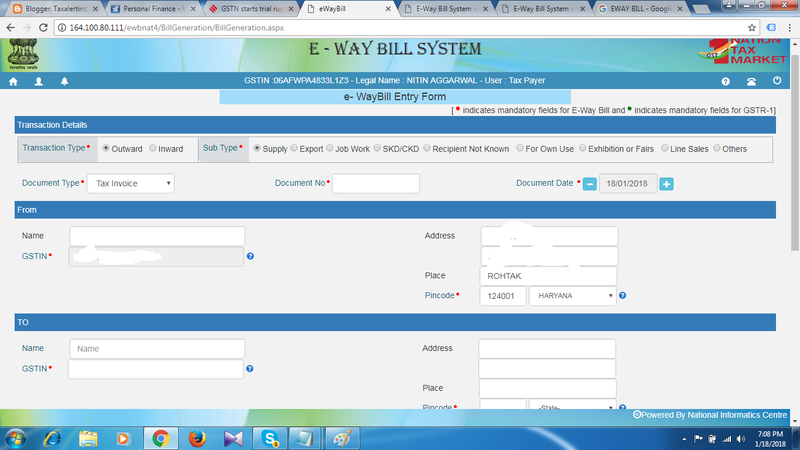 For generating E way bill you need to click on ewaybill on top left and generate new. A new screen will open asking for the details of bill for generating Ewaybill. Now you need to enter the following details as per required. Sub Type- Need to tell is it a supply, Export,Job Work,CKD/SKD,own use Etc. Choose Document type as per required. Party Details Name,GST nUMBER AND PIN code is mandatory. Item details- Product name, HSN code value and tax amount as per invoice. App Distance is mandatory for the validity of eway bill. So one can enter the distance approx. Transporter Id or vehicle number- One is mandatory for eway bill. Click on submit and your eway bill is ready for print or mail.